The political process will not start before arms withdrawal. 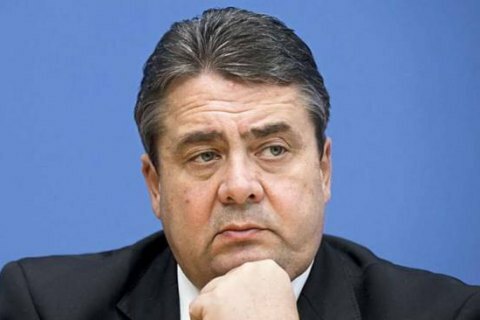 The foreign ministers of the Normandy Four states (Ukraine, Russia, Germany and France) will meet again in several weeks to discuss the political clauses of the Minsk agreements, German Foreign Minister Sigmar Gabriel said after the meeting on 18 February. "We will discuss the political process, which is the most difficult part, but without a ceasefire and arms withdrawal we will not be able to start it," Interfax-Ukraine quoted him as saying. Ukrainian Foreign Minister Pavlo Klimkin said that the next meeting can take place in 4-6 weeks. In the meantime, the work will continue at a lower level, possibly at the level of political directors who may meet next week to discuss a roadmap of the Minsk agreements. When it comes to the political clauses, Ukraine insists that first, it is necessary to approve a roadmap of ceasefire before they can discuss a ceasefire, militants' amnesty and a special status of Donbas. The presidential administration repeatedly said that elections in Donbas can be held only after Russia withdraws its troops and Ukrainian media and parties can freely operate in militant-held areas. Russia insists the military and political clauses of the Minsk agreements should be implemented in parallel.